LEONARD ROWE, ROWE ENTERTAINMENT, INC., LEE KING, AND LEE KING PRODUCTIONS, INC., Plaintiffs-Appellants, v. GARY, WILLIAMS, PARENTI, WATSON & GARY P.L.L.C., WILLIE E. GARY, SEKOU M. GARY, MARIA SPERANDO, AND LORENZO WILLIAMS, Defendants-Appellees. On January 31, 2018, three judges set a terrible precedent in their decision that allows lawyers to avoid malpractice suits in their client's home state even when attorneys themselves solicit business in those home states. The decision is unpublished, which means that the judges want their decision to be kept secret, and not cited as precedent in other cases. The decision was also issued "per curiam," which means that none of the three judges want to admit to authoring the decision apparently hoping no one would raise question or associate their names with such poor judicial judgment and behavior. If the plaintiffs prevail in their appeal (filed on March 8, 2018) before Eleven Judges in U. S. Court Of Appeals For The Eleventh Circuit, and their argument and all the evidence indicates they should, these eleven judges will have corrected a grave injustice and set a new course to hold incompetent, dishonest and corrupt attorneys all across America truly accountable for their blatant misconduct. 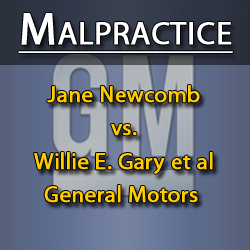 "Indeed, Willie Gary's fraud and negligent law practice have left a series of clients alleging that he destroyed potentially life-changing legal claims or stole the recovery to which they were entitled. Several of them, including Marietta Goodman, traveled long distances to attend the March 10, 2016 hearing in Rowe I. March 10, 2016 Tr. at 46:6-20, 50:12 - 52:5. They did so to show how strongly they feel that Gary and his firm must be brought to justice. 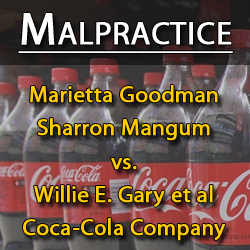 Ms. Goodman, for example, alleges that Gary defrauded her out of her share of an approximately $200 million race discrimination settlement with the Coca-Cola Company. Id. at 50:12 - 51:11. "The Wording of the (Gary's) Argument Suggests that the Gary Lawyers Have Made It in Bad Faith...The structure and wording of the argument that Rowe's complaint failed to satisfy pleading requirements by omitting personal jurisdiction allegations suggest that the Gary Lawyers have made that argument in bad faith, knowing that it lacks support and is contrary to uniform federal precedent..."
1. This is a civil action for legal malpractice and fraud to recover damages arising from the Gary Lawyers' malpractice representing Plaintiffs and other black concert promoters in a civil action to redress, inter alia, violations of civil rights laws committed by prominent talent/booking agencies and concert promoters controlled by white persons, Rowe Entertainment, Inc., et al. v. The William Morris Agency, Inc., et al., 98 Civ. 8272 (RPP) (S.D.N.Y.) (the "Civil Rights Action"). 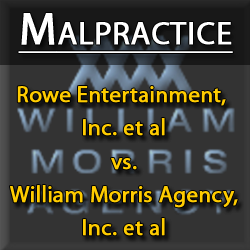 The former defendants in the Civil Rights Action included the two largest and most powerful talent/booking agencies in the entertainment industry, The William Morris Agency, Inc. and Creative Artists Agency, LLC (collectively, "William Morris-CAA"). 2. In particular, the Gary Lawyers allowed William Morris-CAA to withhold emails containing hundreds of racially derogatory terms even though a memorandum from the e-discovery firm retained by the Gary Lawyers to review William Morris-CAA's emails established that such emails exist (the "E-Discovery Memorandum"). Although the Gary Lawyers could have obtained the racially derogatory emails simply by directing their e-discovery firm to send the emails to them, they did not do so. On the contrary, the Gary Lawyers allowed the ediscovery firm to send the emails back to William Morris-CAA in violation of the court's e-discovery protocol. When William Morris-CAA filed motions for summary judgment, the Gary Lawyers could not introduce admissible evidence of the racially derogatory emails because they had never obtained the emails. Attorneys representing defendants Willie Gary, Bill Campbell, Sekou Gary, Tricia Hoffler, Lorenzo Williams and the Gary Law Firm filed "Motion To Dismiss" papers asking the Court to dismiss Rowe, et al. 's lawsuit charging all defendants with racketeering, fraud, legal malpractice and unjust enrichment. Gary's former partner, Maria Sperando, also a defendant, chose to represent herself and filed Motion to Dismiss papers with the Court only to later withdraw them. In response, Mr. Rowe's attorney, Edward Griffith of The Griffith Firm, on September 21, 2015 filed "Plaintiffs' Memorandum In Opposition To Motion To Dismiss." Attorney Griffith's Memorandum is compelling in its indictment of Gary, et al. and why Rowe's case should move forward into discovery and a jury trial. The Memorandum provides documentary evidence of Gary, et al. 's crimes against Rowe, et al. and other former clients of The Gary Law Firm. It also highlights accusations by others similarly victimized by Gary , et al. On May 4, 2015, Maria Sperando filed "MOTION OF DEFENDANT, MARIA P. SPERANDO, FOR ADDITIONAL PAGES" papers asking the Court to allow her 105 pages to explain why Leonard Rowe's lawsuit should be dismissed. The Judge allowed her 50 pages and granted her additional time to respond. In her filing she stated: "The Plaintiffs are making the most horrific allegations against the undersigned that one can make against an attorney--betrayal of one's own client for money...Not content to allow the judicial system to resolve their allegations of misconduct against the Defendants, the Plaintiffs have engaged in the most vile, libelous, slanderous and destructive publicity campaign against the Defendants on the internet and in the media..."
"It would have been easy enough to say, 'Father, forgive them, for they know not what they do' as the ravings of a lunatic were it not for the fact that Mr. Rogers published this letter on the internet by means of a 'news release' on April 21, 2015. Indeed, he has published numerous 'news releases' on the internet and has sent them via email to an untold number of people--including most particularly some in the legal community — viciously disparaging the Defendants, including the undersigned, and accusing them of 'defrauding clients out of millions of dollars' and 'embezzling clients funds...'"
Unfortunately for Ms. Sperando, documentary evidence put forth in the September 21, 2015 "Plaintiffs' Memorandum In Opposition To Motions To Dismiss" makes it very clear how The Gary Law Firm including the many years it operated under the name Gary, Williams, Parenti, Finney, Lewis, McManus, Watson & Sperando committed legal malpractice and defrauded their clients to unjustly enrich themselves. 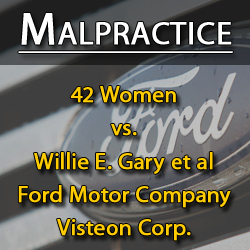 One of the most obvious such cases involved Gary's firm representing 42 women v. Ford Motor Company and Visteon in a gender bias case. The Gary Law Firm's clients, the 42 women, sued Gary, two of his partners and Tricia Hoffler who later became a Gary Law Firm partner. Gary settled the case out of court with the 42 women who claimed that Gary stole at least $51.5 million in settlement monies. Gary Partner Maria Sperando signed the July 11, 2005 "Settlement Agreement and Complete Release" and the August 15, 2005 "Stipulated Order Of Dismissal" on behalf of the defendants which included her partners and the Gary Law Firm. 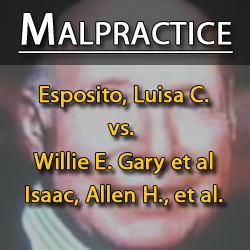 Other former clients have come forward offering to testify under oath in depositions and at trial to document what they allege to be serious legal malpractice issues involving Maria Sperando and The Gary Law Firm in other cases. Ms. Sperando, after filing several more motions with the Court against Rowe, et al., inexplicably withdrew all those motions on July 24, 2015, when she filed "Maria Sperando's Notice Of Withdrawal Of Motions To Dismiss And For Other Sanctions For Fraud On The Court, Motion For Evidentiary Hearing On Sanctions And Motion For Oral Argument!" Read Maria Sperando's "Motion Of Defendant, Maria Sperando, For Additional Pages"
Read "Maria Sperando's Notice Of Withdrawal Of Motions To Dismiss And For Other Sanctions For Fraud On The Court, Motion For Evidentiary Hearing On Sanctions And Motion For Oral Argument"
I am writing to you about very serious issues relating to charges of unlawful behavior engaged in by The Gary Law Firm and Willie Gary, William Campbell, Sekou Gary, Tricia Hoffler, Maria Sperando and Lorenzo Williams while serving as attorneys in the employment of The Gary Law Firm. The Florida Times Union reported on January 4, 2003 that Bill Campbell, mayor of Atlanta from 1994-2002, while still the focus of a lengthy federal investigation into City Hall corruption, was moving to Florida to join Willie Gary's law firm. In "Black Mayors Accused of Corruption" in the January 28, 2014 edition of Rolling Out, Mo Barnes reported, "In August of 2004 Campbell was indicted on federal charges of racketeering, bribery and wire fraud after a five year investigation. He was convicted on March 10, 2006 on three counts of tax evasion and sentenced to 30 months in prison, a $6,000 fine, a year's probation and had to pay back $60,000 in back taxes. He was released from prison on October 24, 2008." 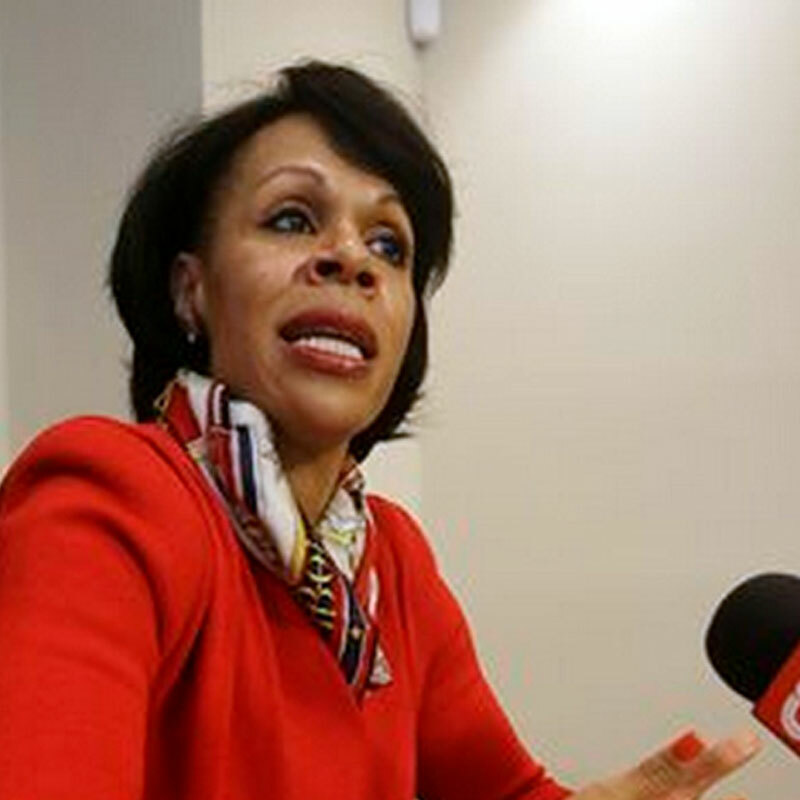 "I don't like former Atlanta Mayor Bill Campbell. I found him to be ... arrogant ... mean-spirited, intemperate and a bully. And those are his better sides. In his federal corruption trial, he was also revealed to be a gambler who always showed up with large wads of unexplained cash, an adulterer, and, according to federal judge Richard Story, guilty of taking bribes and obstructing justice...American humorist Will Rogers once said, 'I never met a man I didn't like.' He never met Bill Campbell." 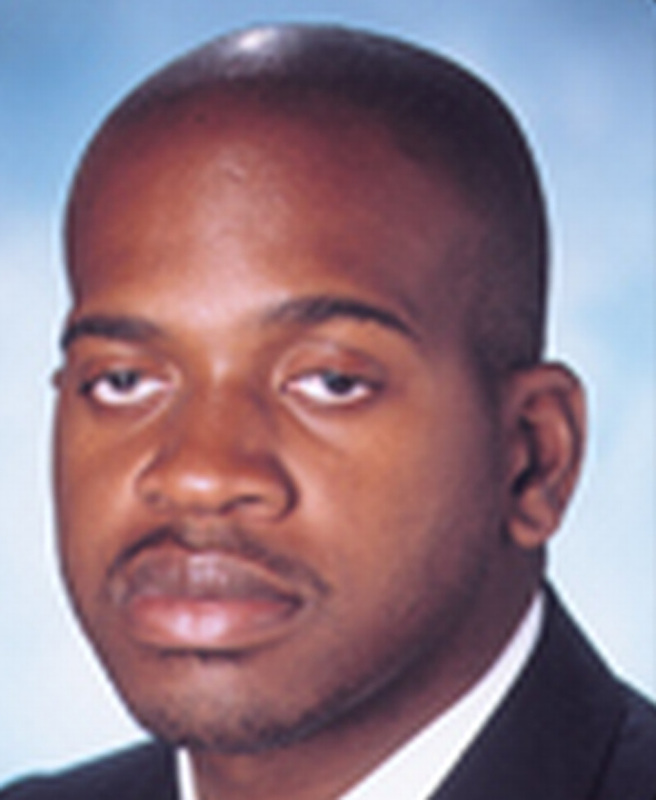 On May 31, 2011, The Florida Bar reported that Willie Gary's son, Sekou Gary, was publicly reprimanded and ordered to pay $5000 restitution to his client, Ronald Thomas. Thomas paid Gary that amount as a retainer fee to represent him in an employment discrimination matter. Gary failed to keep his client informed about the status of his case and it was subsequently dismissed for lack of prosecution. Thomas filed a grievance against Gary with The Florida Bar but Gary failed to respond to Bar inquiries regarding the matter. According to The Committee to Expose Dishonest and Incompetent Judges, Attorneys and Public Officials, "Thomas said he first became aware of the dismissal after going to the courthouse to inquire about the status of his lawsuit." 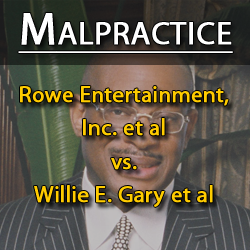 At times Willie Gary's law firm has also carried his son's name as a partner. Tricia Hoffler, now a partner in the Atlanta law firm, Edmond, Lindsay & Hoffler LLP, was a former partner in Gary, Williams, Lewis, Watson and Sperando, P.L. where she ran and managed a commercial litigation practice for nearly 12 years. She reportedly worked for free as part of a legal team defending Jesse Jackson Jr. before he was imprisoned for looting his campaign treasury. Ms. Hoffler is accused by plaintiffs of playing a prominent role in schemes to defraud Gary Law Firm clients in a number of cases relating to race and gender discrimination including ones involving Ford Motor Company, Visteon Corporation, The Coca-Cola Company, General Motors Company and The William Morris Agency. 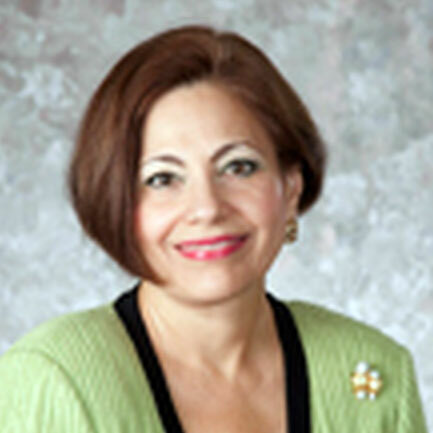 For many years, Ms. Sperando of The Law Office of Maria P. Sperando, P.A. in Stuart, Florida served as a partner in Willie Gary's law firms; Gary, Williams, Finney, Lewis, Watson and Sperando, P.L. and Gary, Williams, Lewis, Watson and Sperando. In 2000, the Superior Court of the State of North Carolina reprimanded Ms. Sperando. She was "censured and suspended from the practice of law in North Carolina for a period of one year" and "sanctioned in the amount of $53,274.50" for her "professional misconduct." Sperando, an attorney licensed to practice in Florida and New York, was admitted pro hac vice to represent Finesse G. Couch ("Couch"), the plaintiff in the underlying medical malpractice action against Private Diagnostic Clinic and Duke University (collectively "defendants"). During trial, Sperando was delivering her closing argument to the jury when she made several statements regarding the veracity of the defense witnesses and opposing counsel. Sperando characterized defense witnesses and opposing counsel as liars approximately nineteen times during her closing argument, including such statements as, defense witnesses "came up here and told lies. In your face lies"; "'[t]here is nothing worse than a liar because you can't protect yourself from a liar. . . In the trial court's order of withdrawal, it noted that during the hearing, Sperando testified under oath that the only time she had ever been disciplined by a court or a state bar for improper conduct was when she "was late once and that was the only time." In its order of withdrawal, the trial court found that Sperando and her attorney had failed to disclose a 9 December 1999 order from the Superior Court of Guilford County which found Sperando to be in violation of several rules, including the Rules of Professional Conduct. The order from Guilford County determined that Sperando had "conducted herself in a reprehensible manner in wilful violation of [the rules]," and concluded that her pro hac vice status in that case must be revoked. Lorenzo Williams attended Shaw University in Raleigh, NC and earned his law degree from Willamette University School of Law in Oregon in 1977 and soon after joined Willie Gary, a fellow Shaw University graduate, who had just opened a law practice in Stuart, Florida. 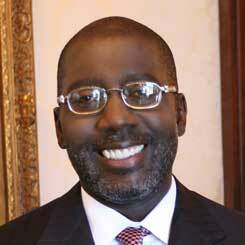 He became a senior partner in the law firm of Gary, Williams, Finney, Lewis, Watson and Sperando, P.L. He is now a senior partner in Gary, Williams, Parenti & Watson, P.L.L.C. Citing "gross neglect," Shaw University's national alumni group has called for the school's board of trustees to step down or be dismissed, an appeal addressed to multimillionaire lawyer, alumnus and board Chairman Willie Gary. The May 14 letter from the alumni association's president, Emily Perry...says: "We can no longer stand by and allow Shaw to appear to deteriorate due to poor judgment. ... We have serious concerns regarding conflict of interest, fiduciary responsibilities, adverse interest and commitment. Shaw, the South's oldest historically black college, has spent the last year trying to shovel its way out of debt exceeding $20 million. The May 14 letter is not the first rebuke. In March, the school's Florida alumni group sent a letter to Shaw administrators saying it was "amazed" that giving among board members totaled only $41,089 since July, despite Gary's pledge that each of the roughly 40 board members would chip in $50,000. "Whether I've given any money to Shaw in the last year or so? No, because of the economic times," Gary said. "We don't have it." "Willie Gary, the Florida multimillionaire lawyer, is no longer chairman of the Board of Trustees at Shaw University...Gary will remain on the board, the university said...The longtime chairman grabbed headlines in 1991 with a $10 million pledge to Shaw, but acknowledged in a 2010 interview that he had not kept up with payments on the planned donation..."
On Shaw University's Honor Roll of Donors 2012-2013, Willie Gary is listed under the category giving $99 or less. Willie Gary and law partner Lorenzo Williams are involved in a scandal unraveling at Shaw University in Raleigh, North Carolina. 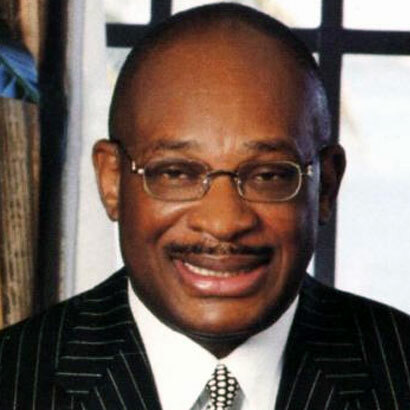 Willie Gary made headlines in 1991 after he pledged to donate $10 million to Shaw University. The Gary Foundation website boasts: "The Gary’s have donated millions of dollars to help Historically Black Colleges and Universities — including $10 million to his alma mater Shaw University..." Yet Gary has not come close to fulfilling that pledge. This comes as no surprise to many Shaw alumni who have suspected foul play during Gary's long tenure as chairman of the university's Board of Trustees while the university has been beset by financial and other improprieties. 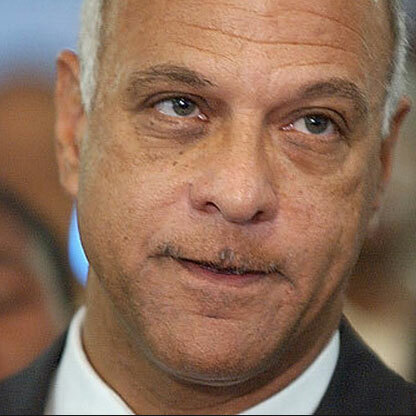 Under fire in 2012, Gary stepped down as chairman but remains on the board and its executive committee along with Lorenzo Williams, who is vice chair of Shaw's board. On October 29, 2015, Shaw University alumni filed a federal lawsuit against Willie Gary and current Board Chairman Joseph Bell Jr., alleging breach of contract, conflict of interest and years of mismanagement that have tarnished the South’s oldest historically black college. The News & Observer (11/2/15) reported: "...Gary’s close relatives have been awarded generous amounts of work at Shaw. Documents filed with the Internal Revenue Service show Gary Financial, owned by the past chairman’s brother, was paid nearly $2 million in 2010 and 2011, the suit said...Both Bell and Gary are obligated to protect the value of students’ degrees and act in Shaw’s best interest, according to the lawsuit. The last 20 years have instead been littered by rumors of closure, publicly reported financial crisis, low enrollment, scandal and self-dealing...defendants have monopolized leadership of the Board of Trustees and breached their contract to the students, alumni and the faculty of Shaw University..."
"These companies have been misleading people for years and in some cases, have even manipulated the nicotine content in the cigarettes. Too many people have lost loved ones due to this negligent behavior. The quality of life for our clients has been compromised. This is absurd and we seek justice! It is our sincere hope that these tobacco companies will do the right thing and bring resolve to the many families who were harmed." "Willie Gary, his law firm and associates have been misleading clients for years and in some cases, manipulated and defrauded them. Too many people's lives have been traumatized due to this negligent behavior. The quality of life for many of his clients and others has been compromised. This is absurd and we seek justice! It is our sincere hope that Gary et al will do the right thing and bring resolve to the many families who were harmed." — Ray Rogers, Director, Corporate Campaign, Inc.
1/3/17 Rowe Entertainment, et al. VS. Willie E. Gary, et al. 5/9/16 Rowe Entertainment, et al. VS. Willie E. Gary, et al. 3/13/15 Rowe Entertainment, et al. vs. Willie E. Gary, et al.